From skiing down snowy slopes in the winter, luscious parks and baseball in the spring, summers of fun and vibrant autumns, Connecticut offers year-round beauty and entertainment for people of all ages. Whether you’re moving to Connecticut for employment opportunities, or just looking for a great place to raise a family, Simonik Moving & Storage will get you there on-time and on-budget. Since 1977, we have provided award-winning services for those moving from NJ to Connecticut. 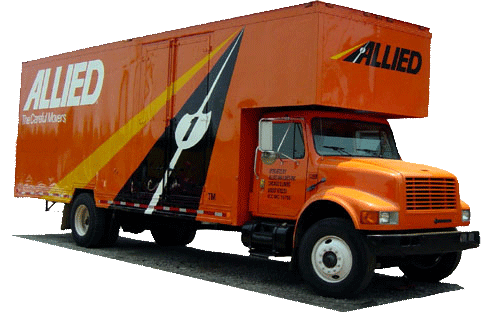 With an A+ BBB rating and Allied Van Lines affiliation, we can expertly handle household moves of any size throughout the United States. Simonik is dedicated to impeccable-quality service each step of the way. To wrap up the last details of your New Jersey to Connecticut move, we offer state-of-the-art storage solutions. All your household items are shipped in protective containers, designed for safe transport and secure storage. Whether you’re looking for a place to store your household items temporarily while you complete your move, or need a more long-term solution, you can securely house your valuables in our warehouse facility. Simonik is the leading moving professionals serving North and Central New Jersey, spanning Hunterdon, Mercer, Middlesex, Monmouth, Morris and Somerset counties. As a past recipient of the New Jersey Warehouse & Movers Association’s ‘Mover of the Year’ award and current ProMover member of the American Moving and Storage Association, Simonik has a reputation you can trust. Our affiliations keep us apprised of the special requirements associated with conducting long-distance relocations, so we can provide you with a stress-free NJ to Connecticut move. If you’d like to learn more about our NJ to Connecticut moving services, call Simonik Moving & Storage today. We also welcome you to complete our simple online form to request a free, no-obligation moving estimate!